Executive Briefing SEPTEMBER 2016 What Are the Options for Using Carbon Pricing Revenues? Carbon pricing policies put a price on greenhouse gas (GHG) emissions to provide economic incentives to businesses and households for an efficient, market-based transition to a low-carbon economy. Revenues generated from carbon taxes, levies, and capand-trade schemes are an important consideration for public policy - the way they are used can impact the economic effectiveness of pricing mechanisms, influence environmental outcomes and can help improve the political acceptability of their introduction or increase. In 2015 alone, carbon pricing policies generated USD 26 billion in revenues worldwide. While this sum accounts for only a very small percentage of total government revenues, it can be a larger proportion in some jurisdictions. Further, revenues are expected to increase as coverage and levels of pricing measures become greater. These revenues, when carefully and strategically considered, can represent a significant financial resource for governments to support public policy goals.  There is an array of possible options for the use of revenues. By engaging with stakeholders, governments can identify the most important priorities and trade-offs. 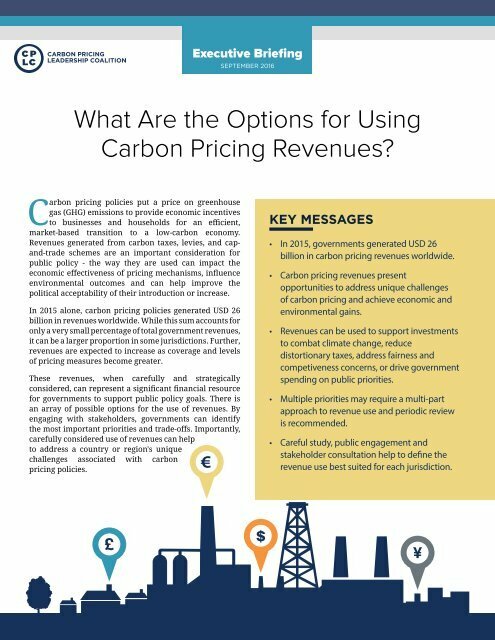 Importantly, carefully considered use of revenues can help to address a country or region's unique challenges associated with carbon pricing policies. KEY MESSAGES • In 2015, governments generated USD 26 billion in carbon pricing revenues worldwide. • Carbon pricing revenues present opportunities to address unique challenges of carbon pricing and achieve economic and environmental gains. • Revenues can be used to support investments to combat climate change, reduce distortionary taxes, address fairness and competiveness concerns, or drive government spending on public priorities. • Multiple priorities may require a multi-part approach to revenue use and periodic review is recommended. • Careful study, public engagement and stakeholder consultation help to define the revenue use best suited for each jurisdiction.